Sometimes a death may bring with it a sense of relief for those left behind, particularly if there has been a lot of unhappiness and suffering for everyone beforehand. This feeling may also cause intense guilt and it is important for people to know that it is okay to express such feelings. The final layer can be shaped by helplessness and worthlessness and a loss of self-esteem. 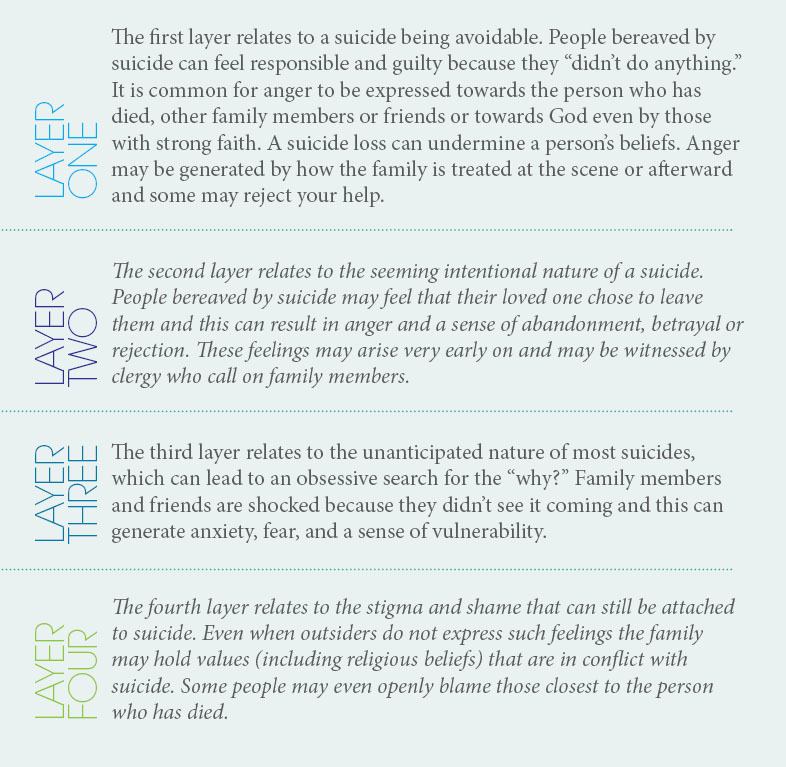 These feelings can lead to the same emotional pain that precipitated the suicide. Suicide bereaved people are at high risk of suicidal behaviour and there may be a family history of suicide. Of course, every person’s experience of grief is different, and for some people their grief can be delayed for a period of months or years.